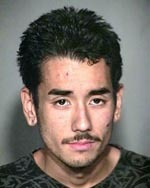 The most recent edition of the Crime Stoppers television program “Hawaii Island’s Most Wanted” highlights a Hilo man wanted for domestic violence, a 23-year-old man wanted for forgery, ID theft and providing false identification to a police officer, and a Puna man wanted on several outstanding bench warrants. The new episode begins airing Friday, Oct. 8. 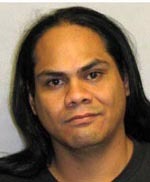 In it, police ask for the public’s help in locating 31-year-old Michael M. Coyaso of Hilo, who is wanted in connection with a domestic violence investigation. He is described as 6-feet tall, about 180 pounds with black hair and brown eyes. He may have a mustache and a beard. The television program also asks for help in locating a 23-year-old man wanted for forgery, ID theft and providing false identification to a police officer. Jonathan Ross Phillips is also known as Jonny R. Phillips or James Patel. He is wanted for forgery, ID theft and providing false identification to a police officer. He is described as 5-foot-8, 120 pounds with blond hair and brown eyes. His last known address was in Hilo. Officer Patrick Menino, also asks for help in locating 27-year-old Kawika Benjamin Kahee of Keaau, who is wanted on several outstanding bench warrants. 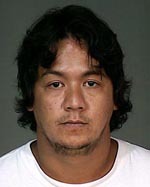 Kahee is also wanted in connection with a domestic violence investigation. He is described as 5-foot-11, about 235 pounds with black hair and brown eyes. Police urge anyone with information about any of these cases call the Police Department’s non-emergency line at 935-3311 or Crime Stoppers at 961-8300 or 329-8181. Crime Stoppers does not tape record phone calls or subscribe to caller ID. The program airs on Na Leo O Hawaii Community Television Channel 54 at 5 p.m. Sundays and at 5:30 p.m. Fridays. It also airs intermittently on Channel 53.